Until two weeks ago, President Donald Trump’s nomination of Judge Brett Kavanaugh to a seat on the U.S. Supreme Court seemed a sure thing. He ably handled more than 1,200 questions put to him by members of the Senate Judiciary Committee. 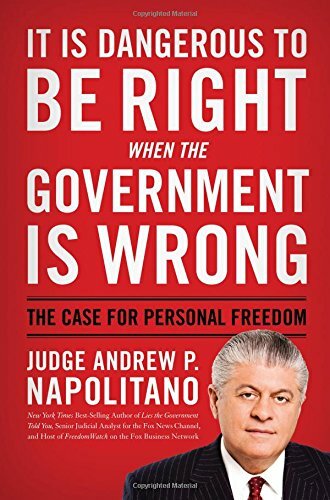 He demonstrated even to his adversaries a masterful command of constitutional jurisprudence. The FBI had completed six background investigations of Kavanaugh throughout his career in government, and it found no blemishes. 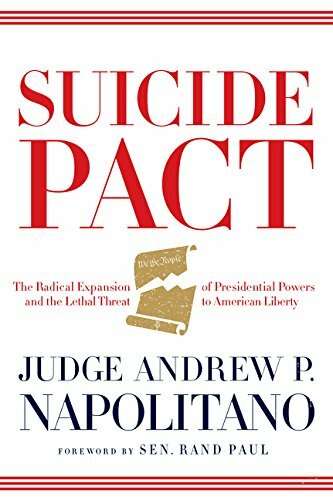 Trump promised that he would appoint federal judges and justices who generally share his views on life, guns and administrative regulations and who have a minimalistic view of federal power. When he announced the Kavanaugh nomination, it appeared he had found his man. During his confirmation hearings, Kavanaugh dutifully followed the pattern of all current sitting justices at their confirmation hearings by declining to answer hypothetical questions which sought answers as to how he might vote on certain issues likely to come before the court. He survived the grueling cross-examination by Committee Democrats and even won begrudging praise from a few. Then, Sen. Dianne Feinstein, a Democratic member of the Judiciary Committee, dropped a bombshell. She revealed that a constituent who wished to remain anonymous had written a letter to a member of the House of Representatives, who had turned the letter over to Feinstein. The letter contained allegations by the writer, Dr. Christine Blasey Ford, that Kavanaugh had drunkenly attempted sexual assault against her 36 years ago. Feinstein had the letter for two months before she revealed its existence — a week after the Kavanaugh confirmation hearings had ended. This is reminiscent of allegations leveled by Professor Anita Hill against then-Judge Clarence Thomas, though those allegations were of inappropriate words in the workplace and the Ford allegations are of force and violence in a bedroom. When Hill’s allegations were published, President George H.W. Bush dispatched the FBI to resume its background investigation of Thomas, and it did so. Trump has declined to dispatch the FBI to investigate Ford’s allegations, and other allegations that have now followed hers, because he and Senate Republicans are determined to seat Kavanaugh by next week. 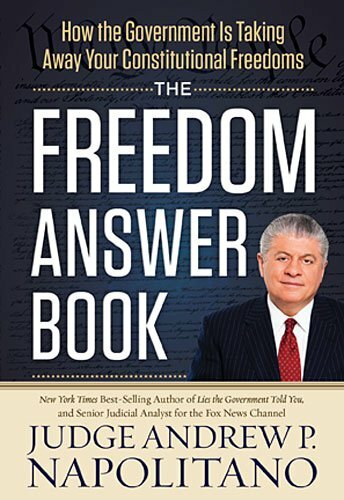 The Freedom Answer Boo... Andrew P. Napolitano Best Price: $3.03 Buy New $6.74 (as of 06:35 EDT - Details) In the absence of an FBI investigation, Ford gave an interview to The Washington Post in which she aired her complaints in graphic detail, despite missing facts and fuzzy recollections. Democrats demanded that the Judiciary Committee hear from her and again from Kavanaugh. They appear to be assuming that Kavanaugh should not enjoy the American presumption of innocence and — without hearing a word from Ford or seeing any corroborating evidence – have concluded that Kavanaugh must be guilty of this alleged offense and thus cannot be confirmed. Then the folks in the White House who are managing the Kavanaugh nomination advised him to violate Criminal Procedure 101: Don’t deny publicly an allegation before it has credibly and publicly been made. So, Kavanaugh was interviewed by my Fox News colleague Martha MacCallum. Her questions were far better than his answers. His answers to the allegations contained in a newspaper story were three-fold — he didn’t do it, he wants a fair process and — unthinkably — he was a virgin during his high school and college years. I say “unthinkably” not because virginity is beyond belief but because this claim was not in response to any of MacCallum’s questions and it bore so deeply into Kavanaugh’s personhood as to be none of the public’s business. And it is not a defense to the Ford allegations. Now we await a potentially tragic confrontation on national television between Ford and Kavanaugh, which will come down to perception rather than reality. The issue is not whether he did it. Rather, it is whether his denials are more believable than her allegations. At the end of their Judiciary Committee confrontation, will the general public perception be that Ford was more credible or that Kavanaugh was more credible? There are no rules here. Ford has no legal obligation to prove her allegations, and Kavanaugh has no legal obligation to disprove them. A tie — the public perception that Ford and Kavanaugh are equally credible — will be very troublesome for Kavanaugh. No woman would go through what Ford is going through if she lacked a personal commitment to the truth. So Kavanaugh can only win if Dr. Christine Ford is generally disbelieved. The Kavanaugh nomination was supposed to be Trump’s gift to his pro-life, conservative, evangelical base. It has become anything but that. If Judge Brett Kavanaugh is confirmed, will he ever lose the taint of these allegations? If he is not confirmed, can he return to the second-highest court in the land, on which he now sits? Is this how the framers expected the selection process for the Supreme Court to play out? In a word: No.